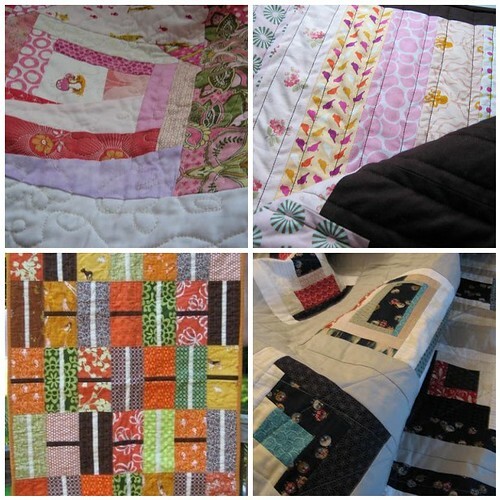 The Mad Quilting Librarian: Out with the old, in with the new...year! A lot of my bloggy, crafty friends are posting huge mosaics of what they've accomplished this year. Not that they're bragging--in many cases, they're as shocked as their readers! But it's left me feeling a little bit out of sorts, like I should somehow be managing to be more productive. Then I decided that some accomplishments were better than none, and what the hell, I'm celebrating my little triumphs, too! And I've made lots and LOTS of blocks for my two bees this past year! So, while not a lot of finishes, still plenty of sewing. Since I figured out that quilting at the dining room table is so much easier than trying to do so at my little sewing table in my office, I hope that I'll be able (and willing) do quilt and finish a number of my works in progress before it gets too warm to think about quilting for awhile! Here's to more finishes for 2011! Have a safe and happy New Year! It certainly looks to me like you've accomplished a lot! And remember, it's not the quantity, it's the quality! Happy New Year, Meg! I don't know what you are talking about because that is ton of stuff you have finished! Great job and Happy New Year. Okay, I'm amazed at all you've done! Very fun projects you have here. I'm curious why you've found the dining room an easier place to sew. I have my own little room upstairs but I've wondered if having the sewing machine in our breakfast area (in the center of things) would take advantage of those few little minutes here and there. Just wanted to let you know-- You make very beautiful things. As Anya said, very high quality. Keep crafting, and if the dining room table lets you work on it a bit more often, then do more of what makes you smile. I have to periodically corral and migrate all my knitting/spinning stuff back to its crates and shelves, but it's always to hand so I can work on it. Gorgeous stuff, lady! I'm impressed with what you accomplished last year. 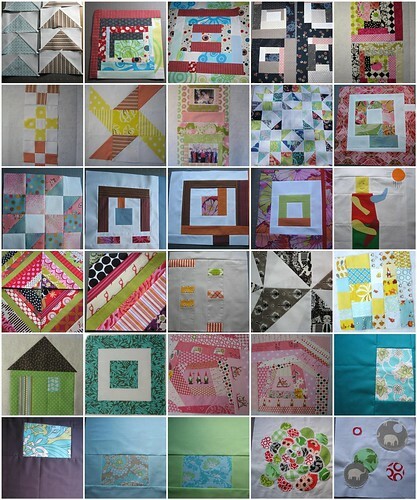 I just found your blog, and in the spirit of loyalty to a fellow librarian/quilter, I am now a follower! Happy New Year!